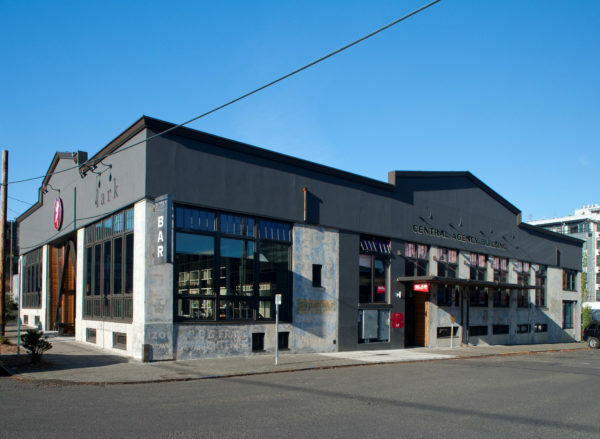 Located in Capitol Hill, Central Agency Inc. is an adaptive reuse of an auto row structure building, in this case one long converted into a storage facility. Beneath the corrugated metal siding hides a cast-in-place concrete building with large floor to ceiling window openings, old growth timber beams and columns, and open web hip girder trusses, all of which remain intact and have become the key elements for babienko architects to establish a sense of place. Tasked with completing a substantial alteration to address seismic retrofitting and life safety requirements for the new commercial spaces created, we divided the building into three distinct tenant spaces around a main entry foyer that collects shared amenities. Each of the multi-level spaces captures the revitalized character of the building while remaining unique unto themselves.